Rodger McPhail, son of a Scottish father and a Lancastrian mother, has always lived in Lancashire. After graduating from the Liverpool School of Art he travelled to Spain, where he was commissioned to paint a partridge shooting series, and in 1977 he made his first visit to the United States to complete commissions of shooting scenes in South Carolina and Georgia. McPhail claims he took to painting because he was no good at anything else, but his extraordinary talent was recognised early by Tony Jackson, then editor of the Shooting Times, who introduced him to the Hon. Aylmer Tryon. McPhail regards Dutch artist Rien Poortvliet (1932–1995) as his greatest mentor. Although he makes frequent use of his camera and other references, McPhail has a photographic memory and is skilled at working quickly and accurately. In his early days McPhail was criticised for being too photographic and recording wingbeats that the human eye could not register, but these voices have faded in the face of the artist's inimitable, distinctive style. Since his first solo exhibition at the Tryon Gallery in 1977, McPhail has had consistent success, right up to his most recent show in early summer 2017. 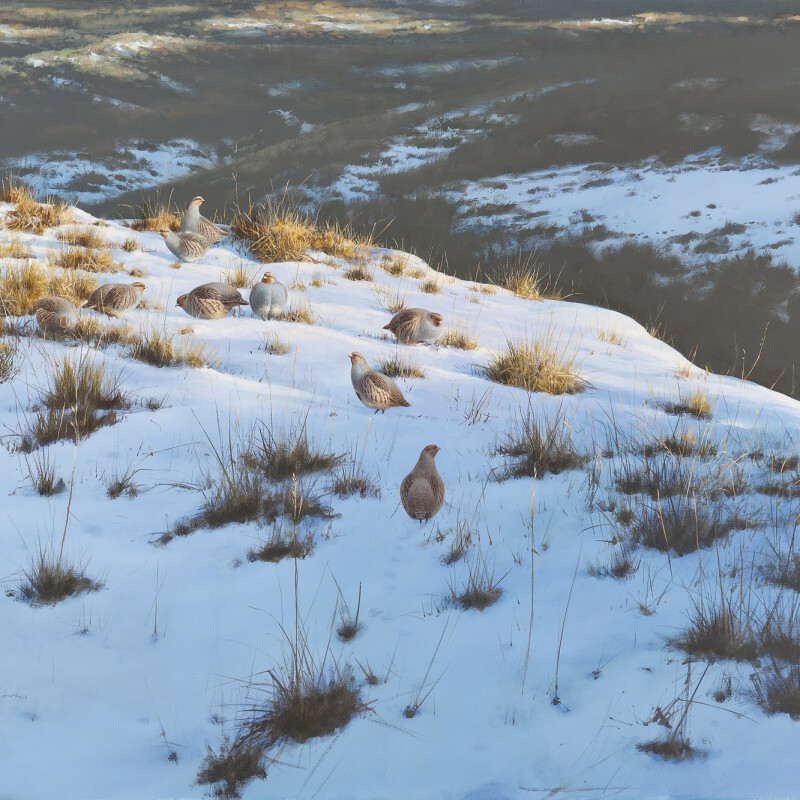 McPhail is a leading British sporting and wildlife artist, at the very forefront of the genre. He is also a sensitive portraitist and is in demand as a cartoonist and illustrator. Many of his paintings have been reproduced as limited edition prints, and is world renowned for his iconic label image for Famous Grouse Scotch whisky.